The name Ripken is synonymous with baseball. Just one mention brings certain qualities to mind: everything from passion and integrity, to perseverance and a commitment to family. It all started with Cal Ripken, Sr.'s lifetime love for the great game of baseball. In all, Cal Sr. spent 37 years with the Baltimore Orioles organization: first as a catcher, then as a manager and company man. He dedicated his days to teaching the fundamentals of baseball, showing the value of hard work, and ensuring the future of the game was in good hands. Cal Sr. passed his knowledge and skill down to his two sons, Cal Jr. and Bill, who played a combined 33 years in the Majors. Cal Jr. set a Major League record of 2,632 consecutive games played, and Bill owned a .985 career fielding average. Now the Ripkens are committed to maintaining the values and experience gained from playing the game, while making sure there's a whole lot of fun along the way. 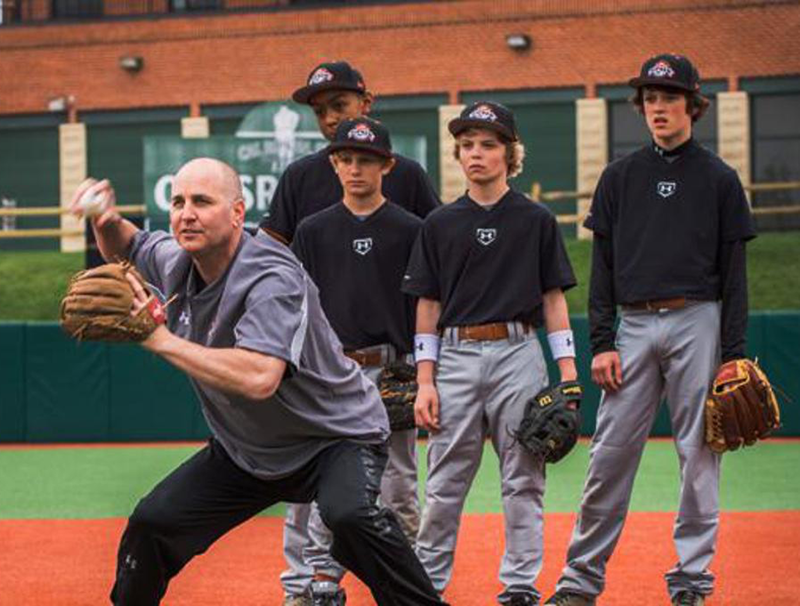 By hosting events for players at three unique facilities, the Ripkens have promised to do baseball the right way: The Ripken Way. Cal Ripken, Jr. is baseball's all-time Iron Man. He retired from the game in 2001 after a hall of fame career that spanned over the course of 21 seasons, all with the Baltimore Orioles. While he's best known for his incredible streak of 2,632 consecutive games played, he also redefined the position of shortstop. 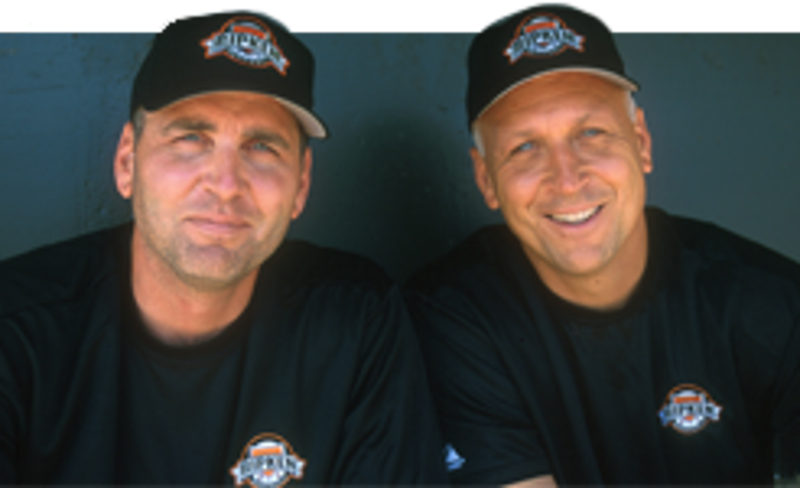 In 2001, Cal and his brother Bill founded the Cal Ripken, Sr. Foundation in memory of their father. 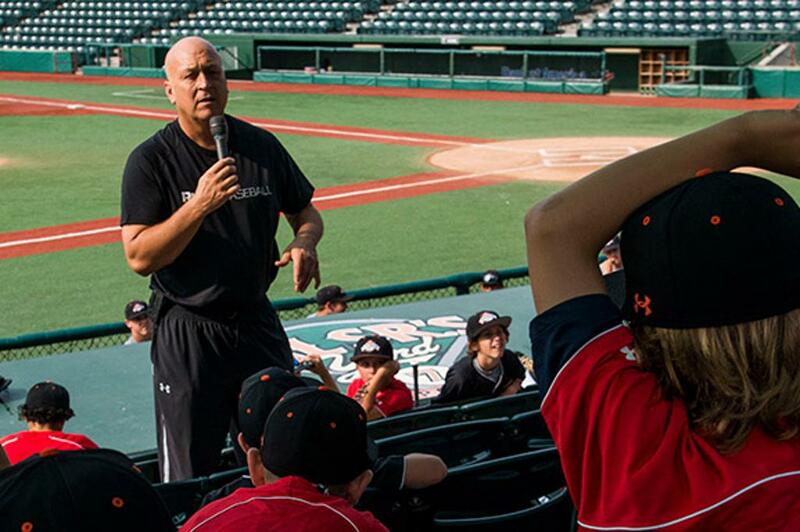 Since then, he has become an international ambassador for the game, and has focused on growing it The Ripken Way. On July 11, 1987 Bill began a 12-year major league career when he was called up by his hometown Baltimore Orioles. The day would make history as the team was managed by his father, Cal Ripken, Sr. and one of his teammates was shortstop and brother, Cal, Jr. 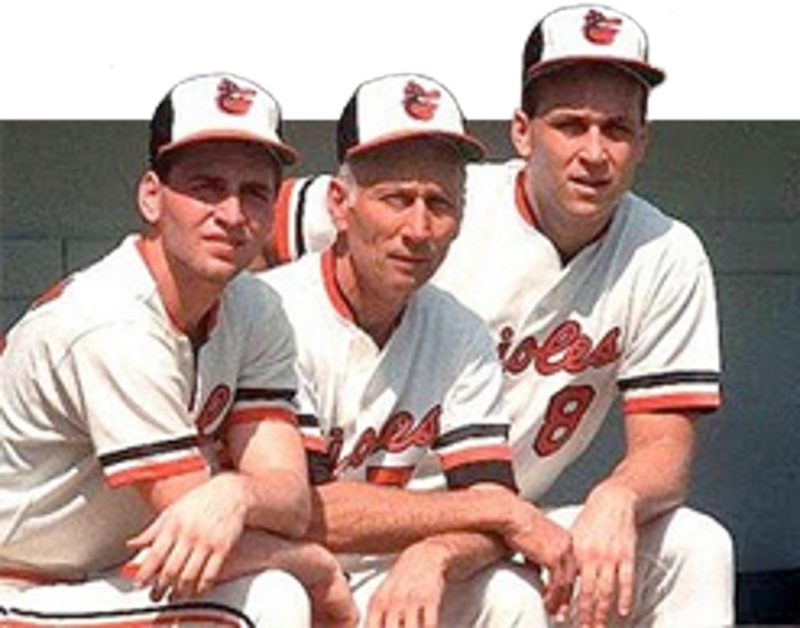 It would mark the only time that a father managed two of his sons in the big leagues at the same time and would cement the Ripkens as one of the great baseball families in the game's rich history. Bill would go on to play with the Texas Rangers, Cleveland Indians and Detroit Tigers as well. 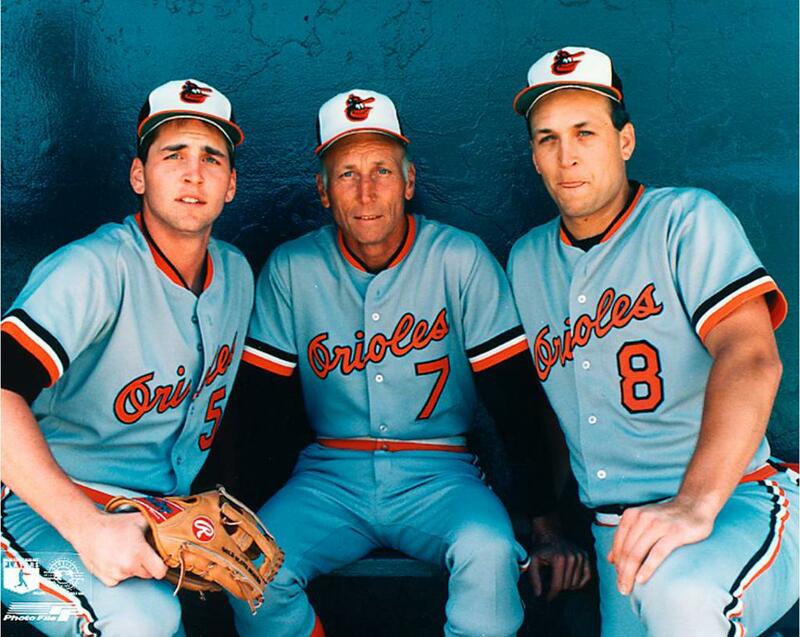 Following his retirement from playing, Bill, along with his brother Cal, established Ripken Baseball and the Cal Ripken, Sr. Foundation and he was inducted into the Maryland Sports Hall of Fame. Through Bill's work with the business and foundation he earned a reputation as one of the game's finest teachers. He also helped produce several Ripken Baseball instructional products with his brother including the bestselling book Play Baseball The Ripken Way and an instructional DVD series entitled Baseball The Ripken Way. In 2009, Bill served as First Base Coach for Team USA during the World Baseball Classic and he has been a manager in the annual Under Armour High School All-American Game at Wrigley Field for the past seven years. Bill has been an integral part of the MLB Networksince its beginning in 2009. He has been nominated for an Emmy Award three times in the Outstanding Sports Personality – studio analyst category, winning the coveted national honor in 2016. His regular "Bill's Blackboard" studio segments on the network are regarded as must see TV for baseball fans everywhere. Bill resides in Maryland with his wife, Candace, and their children, Miranda, Anna, Reese, and Jack. Cal Ripken, Sr. signed his first professional contract in 1957. Over the next 37 years, he represented the Orioles as a player, coach, and manager. Although he had a successful 14-year career, Cal Sr. will always be remembered for his love of the game and coining phrases like "Practice doesn't make perfect. Perfect practice makes perfect." From building clubhouses and dragging infields, to driving the team bus, Cal Sr. dedicated his life to baseball. He spent thousands upon thousands of hours working on the fundamentals, instilling hard work, loyalty, team play, positive spirit, and integrity into his players, all rolled into a system that became known as The Ripken Way. Today, Cal Sr.'s legacy lives on through his sons Cal Jr. and Bill, who continue to further their father's work to forge the growth of our game the right way: The Ripken Way.